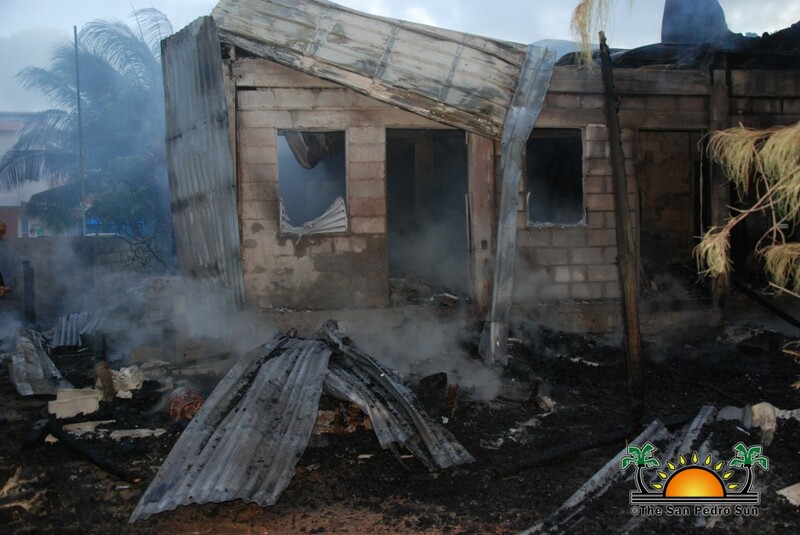 The San Pedro Town community is in mourning following the tragic death of four persons when a fire completely destroyed their home located in the Escalante Subdivision early on Tuesday, June 12th. Neighbors report that homeowner David Nuñez and his son Samir Nuñez who were badly injured, were able to make it out, but sadly his wife Clara Bacab-Nuñez and son Allan Nuñez (14) and daughter Mia Nuñez (6), and niece Sherilee Bacab (16) remained trapped inside the burning structure. Downstairs of the building, tenant Tracy Cruz managed to escape through the bathroom window with her two young children. 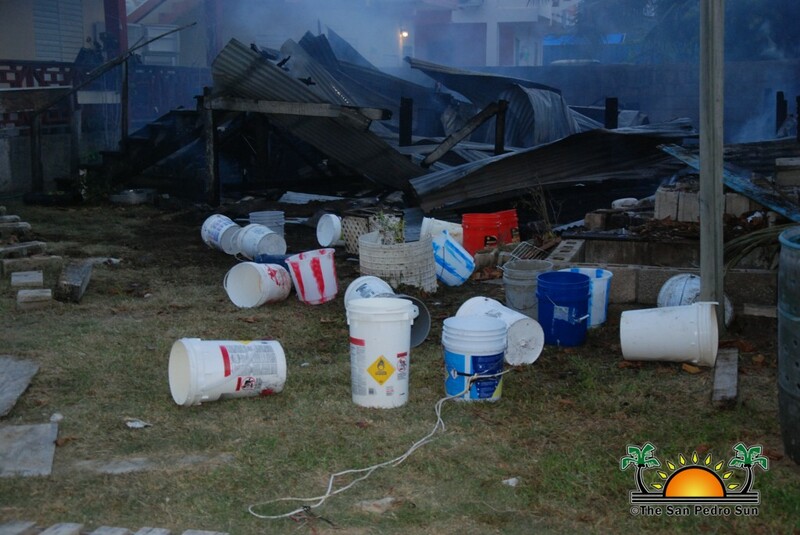 The fire also destroyed a nearby house where two persons escaped the blaze. According to the two individuals, they saw a golf cart engulfed in flames in front of the other building, and speculations are that the fire may have started from the electric golf cart that had been charging all night. However, Cruz believes that the fire began from the second floor above her. Around 2:30AM, she noticed smoke had started to enter her apartment, and she realized that the building was in flames. She immediately looked for her two children, ages two and four, and tried to get out. 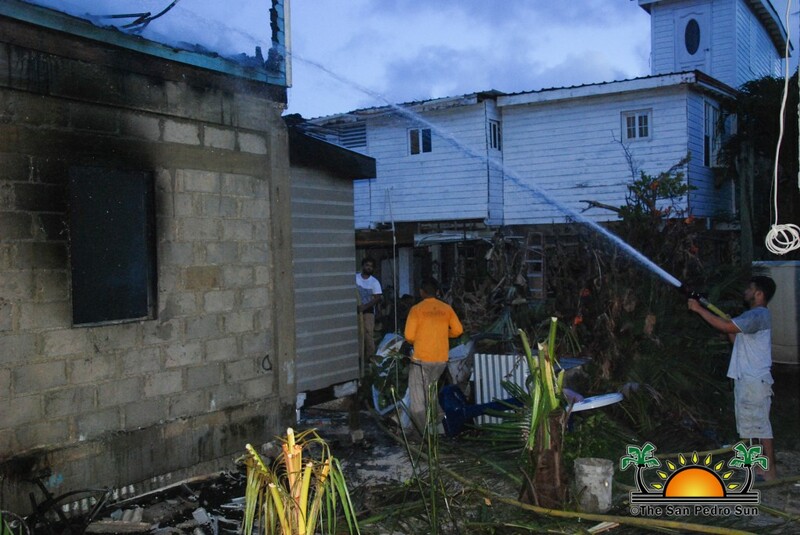 “When I tried to get out through the front door, the verandah on the second floor was already in flames and debris was falling down,” said Cruz. “I went back inside as I feared something could fall on my babies.” She said that the only escape route was through the bathroom window. Cruz broke the wooden louvers, and when she was getting ready to climb out the electricity went off. “I panicked because I could not see my babies and smoke was coming inside my home. But I found them and climbed out and then ran away from the blaze to safety.” Cruz indicated that she noticed an injured Nuñez and his son outside making attempts to run inside, but it was impossible to save anyone trapped on the second floor. 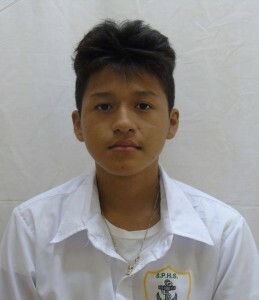 Nuñez and his son were later taken to the Dr. Otto Rodriguez San Pedro Polyclinic II for treatment. Nuñez was then transported to Belize City’s Karl Heusner Memorial Hospital, where he was admitted in a critical condition with third-degree burns. Doctors advised that the next 48 hours will be crucial in his recovery. Neighbors rushed in to help contain the inferno with a bucket brigade using water from a nearby well. Personnel from a nearby hotel also showed up with a portable water pump and helped in preventing the fire from spreading to other nearby houses while they waited for the fire officials. Residents of the area are claiming that the response from the San Pedro Fire Department (SPFD) was poor. According to them, the SPFD took almost two hours to reach the sub-division, and without any water in their trucks. They believe that perhaps, lives could have been saved had they responded on time. “What else needs to happen to our local authorities can do something to provide our fire department with the adequate resources?” asked a resident. One of the victims that perished in the blaze was Allan Nuñez, a student in Class 2-A at the San Pedro High School (SPHS). Exams were scheduled for this week, but following the tragedy, the administration of the SPHS has decided to postpone exams until further notice. A vigil in honor of the fire victims has been scheduled for Tuesday, June 12th at 6PM at the school auditorium. 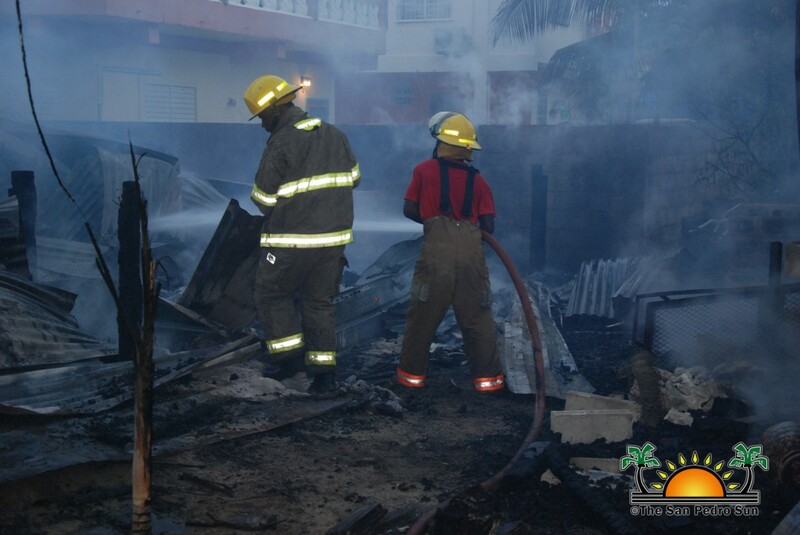 An official report of the incident is yet to be provided by the authorities, who have launched an investigation to learn what caused the fire that claimed the lives of four island residents. 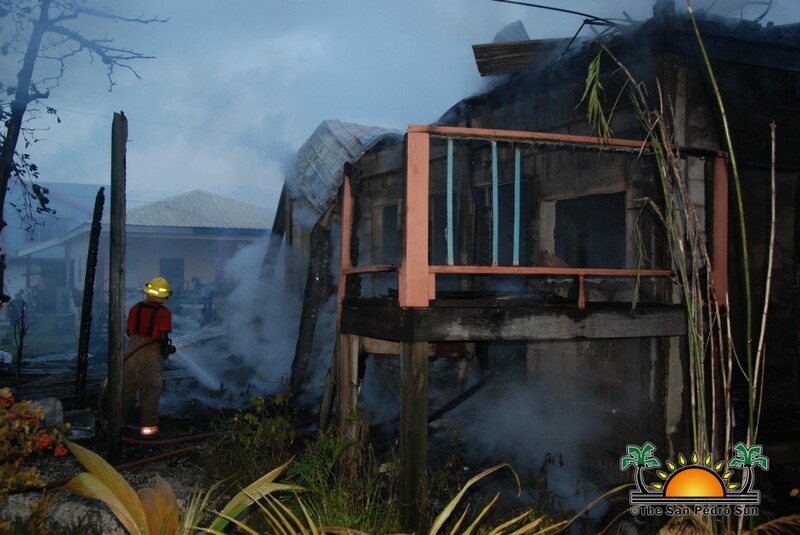 A fire south of San Pedro Town destroys wooden home.